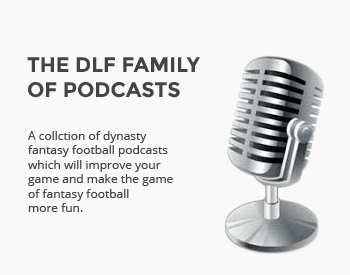 February 2019 – The fantasy football season is over, but your next dynasty season is just beginning! Dedicated dynasty coaches are already shifting gears and looking ahead, preparing for the 2019 NFL Draft. 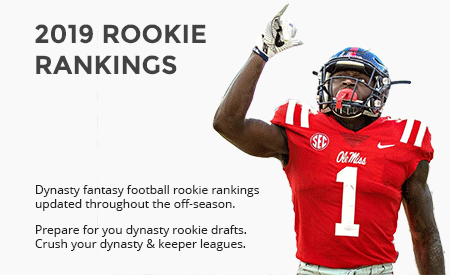 As we have done for the past thirteen years, DLF is here for you, helping you prepare for your dynasty drafts with our 2019 Rookie IDP LB Rankings. We’ll continue to revise and update these rankings all the way through the draft, and into the NFL season. 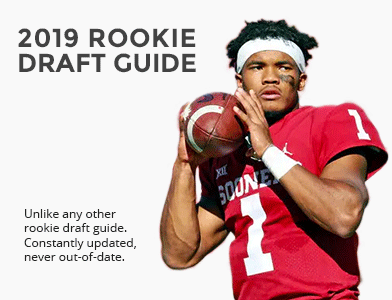 Be sure to stay tuned for our annual, interactive Rookie Draft Guide coming later this spring! These IDP rankings are intended to gauge the long-term potential value of players over the next several seasons. Please remember these or any other rankings are merely a starting point for evaluating player value. They are simply one tool in the player valuation toolbox. Check out all of the tools we offer to help you dominate your league, including our Dynasty ADP, Dynasty Trade Finder, Dynasty Player News and so much more. Click on the tab of an individual ranker to view their personal 2019 Rookie IDP LB Rankings, including possible comments and tiers. You can filter these rankings by last date updated as well as sort by columns. Our complete list of rookie LB rankings are available to DLF Premium Subscribers. You are viewing a limited sample list of our 2019 Rookie IDP LB Rankings. Our full set of rankings include improved functionality, tiers and comments by ranker, and more. If you wish to view the complete list of dynasty rookie LB rankings, please consider one of our DLF Premium Membership options.